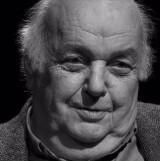 A bilingual journalist described as a “beacon” of the profession in Scotland has died aged 78. Tributes have been paid to Martin Macdonald, pictured left, who worked as a reporter, editor, producer and editor during a career which lasted more than 50 years. A native of the Isle of Skye, Martin was an accomplished writer in both English and Scottish Gaelic. He remained a columnist and regular contributor to the West Highland Free Press for many years, and wrote a weekly Gaelic column for the Press and Journal, Aberdeen, until very recently. Editor Ian McCormack said: “Martin was a columnist for us for many years, an accomplished writer in both English and Gaelic. Martin started his career at the Inverness Courier and Oban Times before joining the BBC as a Gaelic producer in 1965. He later became editor of current affairs programme NorthBeat and served as the BBC’s Scottish editor at Westminster in the 1970s. STV North editor Donald John MacDonald said: “This is tragic for his family and my thoughts go out to them. Martin passed away at his home in Inverness last week. He is survived by a daughter, Seonaid, and son Niall Iain, who followed his father’s footsteps into Gaelic broadcasting. He outlived his wife Catriona.